Last winter, a retired Brooklyn firefighter drove down to Walter Reed Hospital, outside Washington, D.C., with what he considers holy artifacts: a bucket full of scraps from the World Trade Center. “It’s remarkable, the pieces of steel that we have. They’re so important and you don’t want to waste anything,” said Danny Prince, who is also a Navy veteran. Steve Danyluk, a former Marine combat pilot met Prince in Maryland and took on his cargo. Danyluk, another veteran activist, wanted to turn the steel into a symbol with the power to save the lives of veterans. “The pure, almost religious nature of the steel from the World Trade Center … it’s being transformed into something about healing,” said Danyluk. 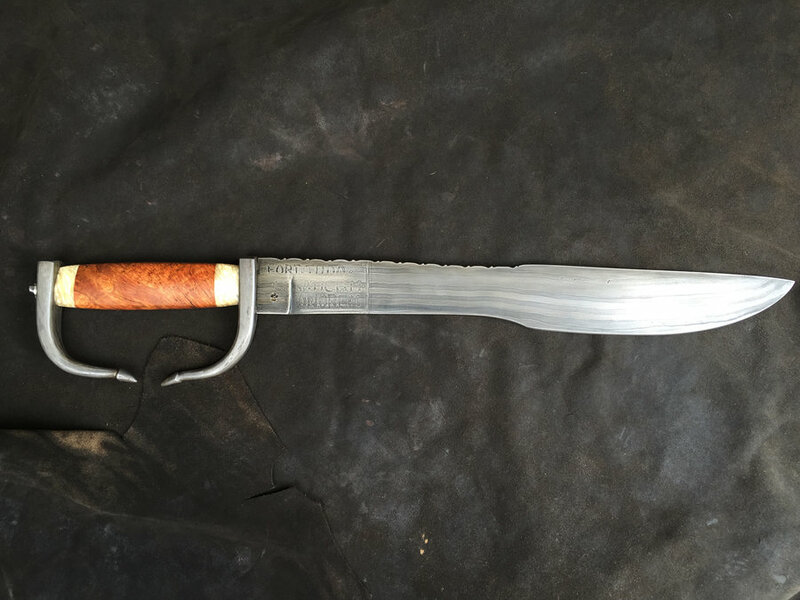 That’s how the steel wound up in McKinney, Texas, where another veteran hammered it into a Greek style “Spartan sword.” Danyluk and Prince hope the sword will inspire veterans to take the “Spartan Pledge” — a promise made between veterans not to commit suicide. Statistics on veterans’ suicide are hard to pin down, but the high rate among the most recent generation of vets has alarmed the Pentagon and the Department of Veterans Affairs.